How Do I Tell When to Use My Credit Card or Debit Card? Most people now primarily use a debit card to access the money in their checking accounts. 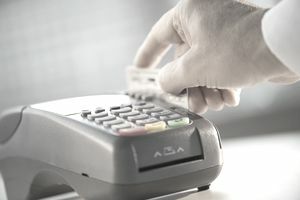 There may be times that you wonder whether or not it is best to use a debit or a credit card for your current purchases. In general, it is usually best to use your debit card so that you do not get into trouble and spend money that you do not have with your credit card. However, there may be times when it may make sense to use a credit card instead. Here is a list of common situations, where you may feel justified in using a credit card, and how you should handle them. Some car rentals and hotels require that you have a credit card on file when you rent the car or room. In this situation, you may need to use a credit card. They want this so they can charge for additional things you may order for room service or for damages from your rental. The credit card usually has to have a certain amount available on it for this to work. It can actually protect you since the hotel will put a hold on the account, which means that you may not be able to access all of the funds in your account. If you have bills due to come through, and you usually have a low balance in your checking account, this may be the better option for you. One of the most common reasons that people want to use a store credit card is to take advantage of the store discounts that are offered when using the credit card. However, unless you pay off the credit card right away you will end up paying more in interest than you will save on the transaction. Store credits cards often have the highest interest rates out of all credit cards. If you want to take advantage of store savings think about signing up for a store debit card like the one that is offered by Target. You could also pay the credit card back before you leave the store. Some stores will let you pay on your balance with the cashier or you may need to visit the customer service center. Another common reason that people use credit cards is to take advantage of the cash back or travel rewards. Most people who use the cards for the rewards do not pay off the balance in full each month. If you do not do this, then you will end up paying more interest than you would earn in rewards. You must pay off your card in full each month to really take advantage of the rewards. Some debit cards also offer cash back points for using them. Consider looking for one of these instead of using your credit card to earn the rewards.The reward offers can be tempting, but you really should not use them until you are sure you can pay off the balance in full each month. This usually means becoming debt free and mastering your budget to make it happen. Some people prefer to take a credit with them when traveling. They feel safer because they are not giving people access to their bank accounts, which can be drained quickly if the card is lost. This is a personal issue. Most debit cards come with the same protection as long as you report the loss in a timely manner. However, if you feel safer while traveling, and have the ability to pay everything back when you return home, this could be an option that works for you. It is still important to monitor your transactions on a regular basis to make sure nothing is stolen. It helps you to avoid running up debt that really is not yours. Often people begin to use credit cards to help cover emergencies like an unexpected medical bill or the cost of a car repair. Establishing an emergency fund is the best solution to avoid using your credit card for emergencies. Once you set aside the money, you will no longer need to put those type of expenses on a credit card and it can make the situation much less stressful.